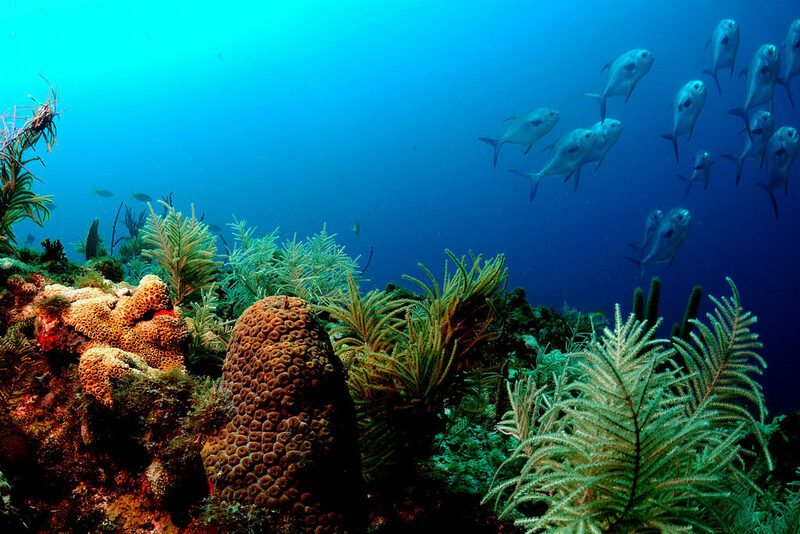 Coral reefs do a great job of protecting not only the environment, but also the coasts and our economy. Without corals, additional floods would cost a lot of money. When we think about saving the bees, wolves, or corals, it’s not just about protecting the ecosystems — we should also do it for ourselves. All species play their role in ecosystems, but they also offer value to humans, directly or indirectly. These are the so-called environmental services. Aside from helping maintain some of the richest and most biodiverse ecosystems, coral reefs also act as natural dikes, preventing flooding and coastal erosion. However, we’re already losing some of those services. Michael Beck and colleagues used flooding models to estimate how much coral reefs contribute to preventing flooding worldwide. They considered flooding for scenarios with and without reefs for four storm events based on the probability that they will occur, calculating the damage they would do with or without the corals. They found that without corals, damage from floods would double, increasing by $4 billion a year. The costs from frequent storms would triple. If coupled with sea level rise, flooding could quadruple. For the big, once-in-a-hundred-years storms, flood damages could increase by 91% to $US 272 billion. No matter where they looked, researchers found the same thing: corals provide a great deal of environmental services — and without them, we would not only suffer environmental damage, but a lot of economic damage as well. Of course, not all countries would suffer equally. The countries with the most to gain from reef conservation and restoration are Indonesia, the Philippines, Malaysia, Mexico, and Cuba. The US would also be a big winner of reef conservation, ranking 8th globally. “These estimates make a compelling case for present-day spending on reef management without assuming that reefs will disappear altogether under a business as usual scenario – nor do they rely on just rare, large storms. Better valuations of the benefits provided by coastal habitats like coral reefs, provided in terms familiar to decision makers, can help decision makers recognize the value and ensure the protection of these critical habitats and their services,” said Dr. Borja Reguero, a Research Scientist at UC Santa Cruz. Researchers strongly emphasize the need for active protective measures and regulations — both locally, and internationally. The study “The global flood protection savings provided by coral reefs” has been published in Nature. DOI: 10.1038/s41467-018-04568-z.